Place a pan on the stove and add oil 2spoons in to it. 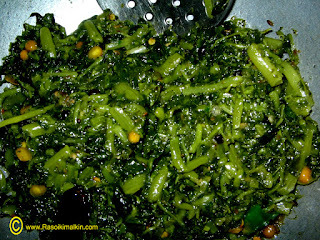 either hing or garlic(optional) ,haldhi,then ginger green chillie paste and fry in a low temp. 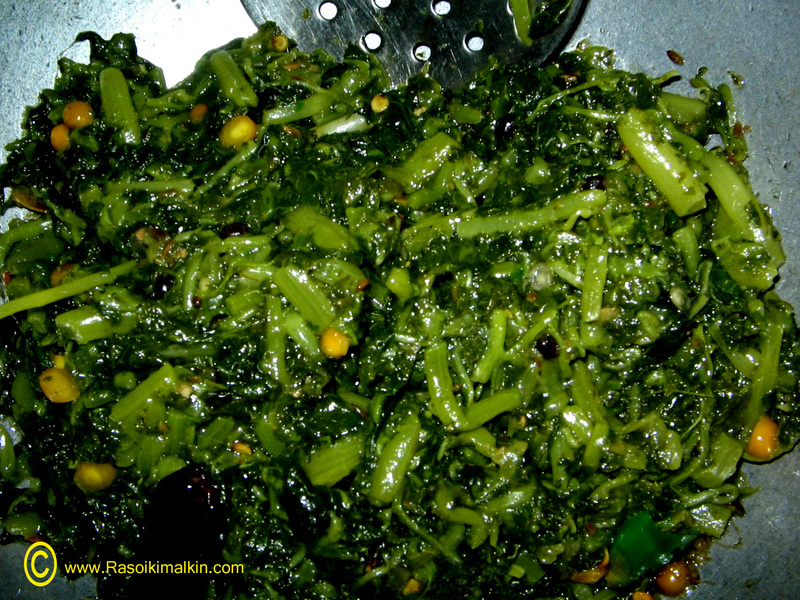 After it is fried,add chopped thotakura to the pan and cover with a lid. the curry will be cooked equally without burning .Lastly add salt and transfer in to a bowl. Those people who are habituated to use garlic can use it while seasoning..